Here’s a nifty audio app I’ve been wanting to tell you about for a while. 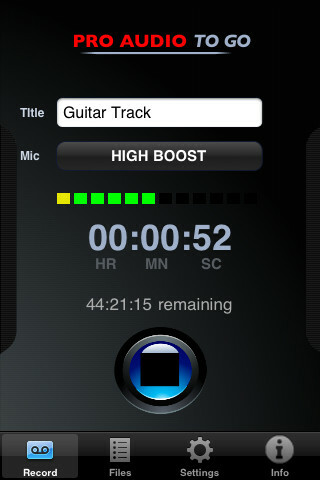 Pro Audio To Go ($29.99) amps up your iPhone’s audio recording abilities by adding several professional, and time-saving features. First off, the app records 48k AIFF files. What does that mean? Simply put, 48k insures that your original sound will not be compressed into crud. My favorite feature is the ability to create custom EQ and gain presets for all your microphones. So, you might have your wireless lav set to record with a higher gain and deeper lows, while your shotgun mic preset could give you lower levels with flatter highs. It’s all up to you. This is a great feature to have since every mic outputs a different sounding signal. I don’t believe the app is actually using these settings to modify the input. Rather, I believe it’s applying your settings to the raw recording after-the-fact. I’m not 100% sure about this, however. Naturally, you’ll get a better recording if you attach a professional mic to your iPhone (the developer’s website offers a variety of converter tables). I often attach my Sennheiser G3 Wireless lav mic to my iPhone 4s using an adaptor table from KV connection. 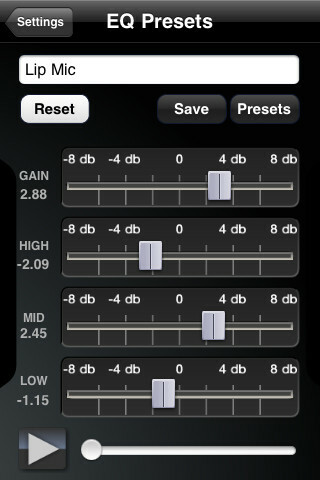 However, if you are stuck with the iPhone’s built-in mic, you CAN improve your results with this app. 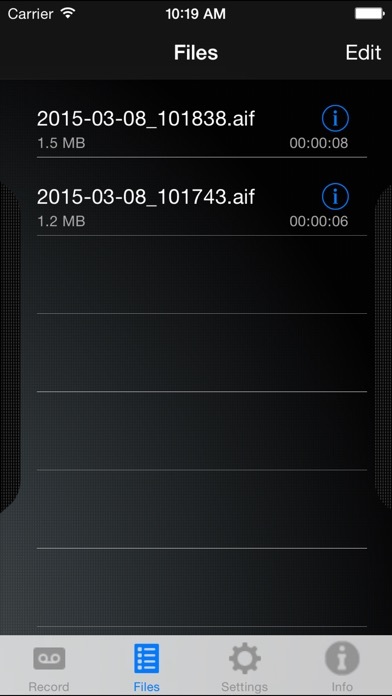 When you’re done recording, the app can email the files, or better yet, upload them directly to an FTP server. And since your files are AIFF’s, they don’t need to be transcoded into another format before using them in your favorite non-linear editor. Me likey! You may be wondering why a filmmaking site would be talking about an audio-only recorder. One word: Dual System Sound. Three words. I meant three words. On most film shoots, and now most DSLR shoots, audio is recorded separately from picture, and then synchronized in post. This way, you can use dedicated systems, with dedicated power, for each. I’m not suggesting that Pro Audio To Go will replace a dedicated hardware recorder like the awesome Zoom, but for the Zoom-less, Pro Audio To Go is a solid alternative. Check out this Videomaker article if you’d like to learn more about Dual System Sound. Want to learn more about Pro Audio To Go? Make sure to watch their semi-cheesy promo video above. Special Discount for new version for only $5.99! 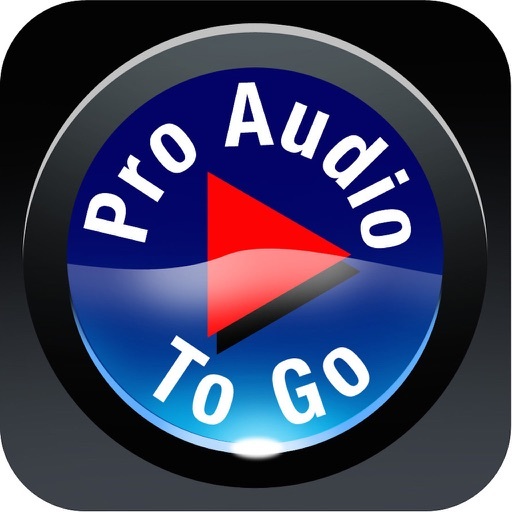 Pro Audio To Go turns your iPhone into a 48 kHz professional audio recorder for use on location by news reporters, journalists, documentarians, musicians, DSLR videographers, filmmakers, producers and editors. 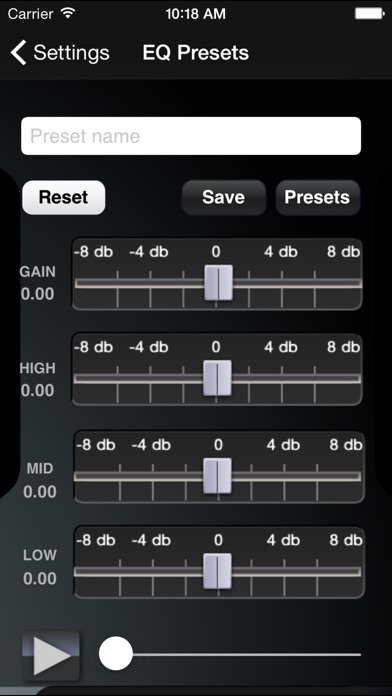 With a single tap on your phone, you can record an AIFF audio file in 48 kHz. Upload the file directly to an FTP server or email it, then download and instantly begin using it in your editing system's Timeline. No conversion necessary! Pro Audio To Go was originally designed for journalists at a Los Angeles News Bureau and is currently being used by national on-air talent. Our custom cables connect your iPhone to any XLR microphone, or you can use the built in iPhone mic. Preset the equalization, gain, and FTP servers and you’re ready to record immediately and post your file in seconds after recording. This app is ideal for any professional in news, documentary or video and film projects, music performance and production, or anyone who needs to record audio or music “On-The-Go.” You can also use it for voice-overs, narrations, and other audio projects while working in your home or office! Pro Audio To Go literally turns your iPhone into your own personal professional audio booth. Email file or upload directly via FTP to your news bureau or editor or to your own dropbox, Google drive, iCloud accounts and more. Works with most microphones. To test a mini jack microphone, plug it into your iPhone and see if it works with the Voice Memo app first. 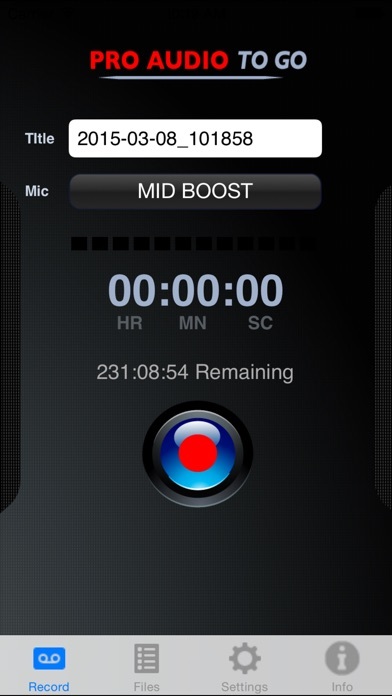 Any mic that the iPhone can record on its own can be used with Pro Audio To Go. 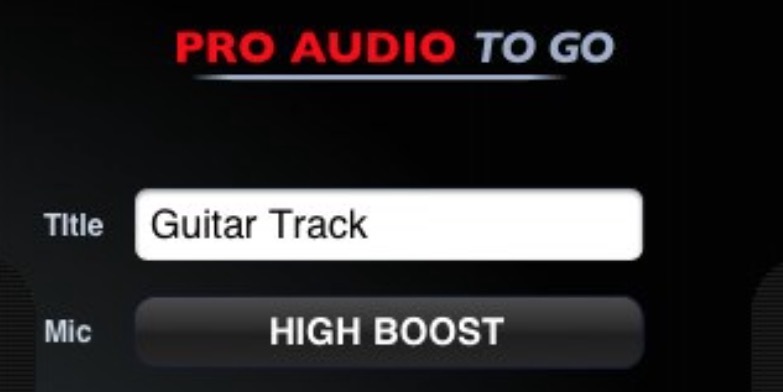 When you purchase Pro Audio To Go please go to Settings if you want to disable the Service Mode and remember to install your Dropbox, Google Drive accounts on your phone for accessibility.